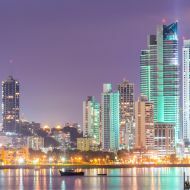 The Panama leaks: Where does ICAS and its Tax Community stand? What advice should be given around tax planning? Who is responsible for tax planning – the client or the adviser? Discuss these important topics at the ICAS Tax Conference. The ICAS Tax Community will be discussing its response to criticisms around tax planning at its Conference in May. The conference will be opened with an address by The Rt Hon Dame Margaret Hodge DBE MP on a ‘Fair, sustainable and transparent tax system’. ICAS CEO Anton Colella will also lead a panel debate on ‘Avoidance and Ethics’. A great deal has already been said in the last couple of weeks on the topic of the leaked Panama papers. There are a number of issues at stake here. One is the legality of using tax havens and most commentators have been at some pains to point out that the Panama leaks do not necessarily disclose illegality by those who use offshore facilities. Another possible issue is whether using a tax haven to minimise taxes is right or fair. This is a different question and arguably it sits at the heart of the considerations for tax advisers. When advising a client, should a tax adviser judge on the fairness of certain laws or simply use them to best effect? The underlying issue of whether our laws, in the UK or in other jurisdictions, should allow tax planning or tax avoidance is clearly a ‘hot topic’. It is also more finely nuanced than some commentators allow for, and the parameters of acceptability have shifted over time. The professionalism of giving tax advice, with the tone set by the document ‘Power of One’, which was recently issued by ICAS, and by the cross profession guidance ‘Professional Conduct in Relation to Taxation’. The public interest, which is a crucial part of the Royal Charter granting ICAS members the right to be Chartered Accountants. A collective response by six professional bodies to meet the challenge set out by the Government in March 2015 which called for regulatory bodies who police professional standards to take a greater lead and responsibility in setting and enforcing clear professional standards around the facilitation and promotion of avoidance. Join the debate and contribute to shaping the public response by ICAS to address public concerns around tax avoidance. Has there ever been a greater time of change in the world of tax? Secure your place at this year’s conference as we look to bring insight and clarity to the changes in the fiscal landscape. Find out more and book now.